It wasn’t too far of a drive from our campsite at Lake Monowai to the small village of Manapouri that sits at the eastern edge of Lake Manapouri. 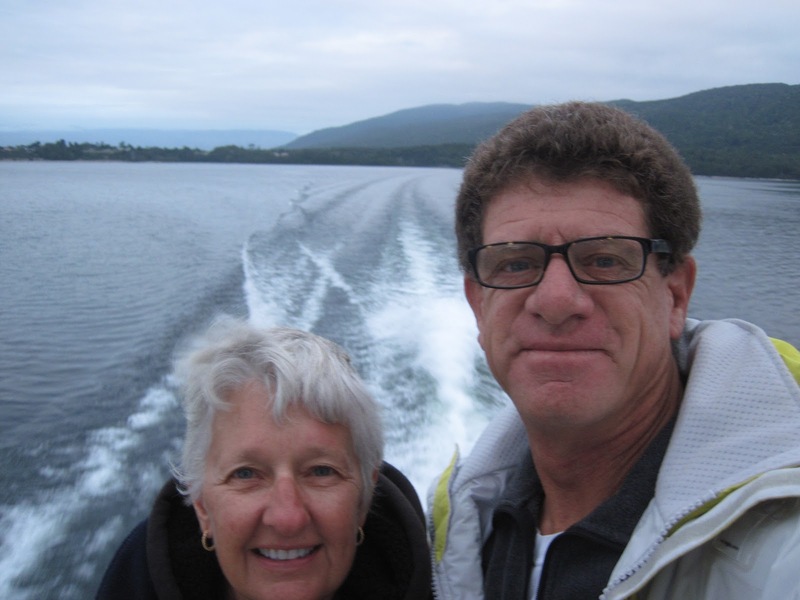 We inquired about cruises to Doubtful Sound but they were well outside our budget so we drove on to Te Anau, about 20 kilometers to the north. There we pulled into a Department of Conservation (DOC) information center and talked with one of their staff. The woman we spoke with said that there really isn’t much of a choice but to go on the cruise we had just recently dismissed. She also pointed out some campsites and hikes nearby but was pretty adamant that we had to take the Doubtful Sound cruise. 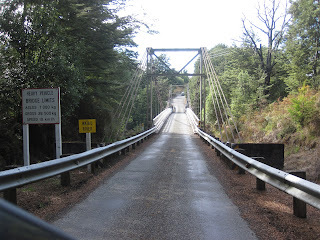 We picnicked right there and talked about our options, then drove back to Manapouri. A holiday park was at the north end of the village so we pulled in and very slowly drove through. It was different from most holiday parks as there weren’t specific areas for tents, motorhomes, etc – you could pretty much just pitch your tent wherever you wanted. The late afternoon was warm and sunny but it made the communal kitchen hot. Couples and families from all over the world visit New Zealand and the gathering that evening was a typical mix of travelers trying to get through their evening meal. If I was smarter, I would have bought spaghetti sauce but, no, I had to make mine from scratch, which took too long. 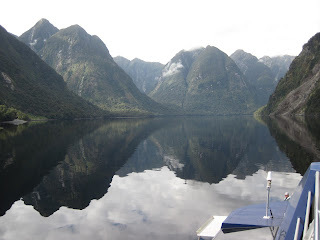 Finally, our meal consumed and cleaned up, we headed back to our tent as we had chosen an early morning departure for a cruise down Doubtful Sound. The sound of our alarm clock the next morning at 0530 wove it’s way into my dreams but it didn’t take me long to get up to the communal kitchen and get my coffee and Ruthie’s tea brewed. Daylight was just breaking as the bus from the cruise line picked us up at the holiday park and dropped us off at the terminal. 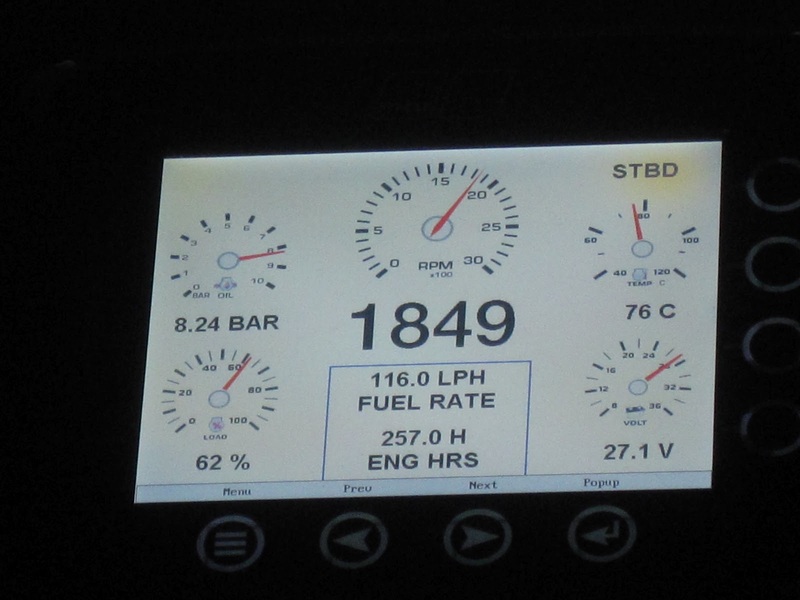 Within a few minutes we were pulling away from the dock on a brand new ship (less than 260 hours on the twin MAN V12 turbocharged diesels), steaming at 22 knots for the west end of Lake Manapouri. Forty-five minutes later, we reached the other end and we boarded modern tour buses that took us to the headwaters of Doubtful Sound. Here we boarded yet another very modern, comfortable ship and again pulled away from the dock as the clouds were just pouring over the tops of the tall peaks that surrounded us. It was light enough now to see that the day was going to be partly cloudy and there were large shafts of sunlight illuminating the sheer cliffs while other areas remained dark. The running commentary told us that Doubtful Sound was not really a ‘sound’ at all but rather a fiord as it was caused by glacier activity. When Captain James Cook sailed by in 1770, he wasn’t convinced that it would be a harbor at all so he wrote a note on the chart he was drawing that said ‘Doubtful’ and never did enter it. We slowly cruised to the opening of the fiord and the Tasman Sea, the cliffs towering 4,000 feet above us. The enormity was not lost on us. 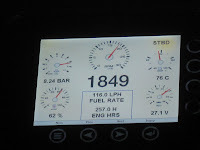 On our return, the captain drove us up Crooked Arm to a beautiful, remote spot. At this point he shut down the engines and generators and the commentator asked everyone to be silent for a few moments – no photographs, no walking around – just silence. At first I thought it was kind of corny but I was instantly grateful and appreciated the marvel and magnitude. 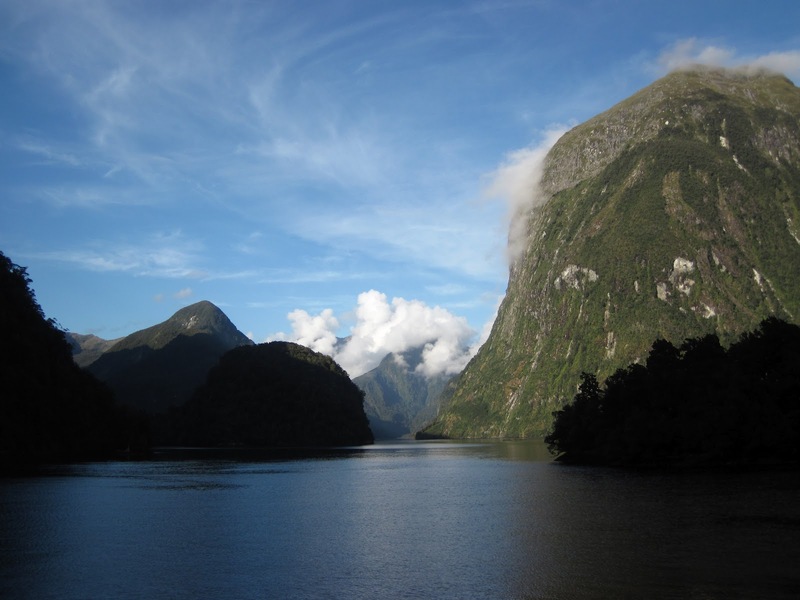 I could see why Doubtful Sound’s nickname is the ‘Sound of Silence’. With over seven meters of annual rainfall, fresh water abounds in the form of waterfalls, streams and creeks. It also keeps Lake Manapouri very full so in the early 1960s, it was decided to dam up the lake, allow it to rise 30 meters and put in a hydroelectric power station. The people of New Zealand strongly opposed the proposition so the dam idea was abandoned but a power station was still built. A team of 5,000 men worked for years, essentially drilling through rock by hand. A two kilometer-long tunnel was built as part of the hydroelectric station and our tour bus took us all the way to the viewing platform where we could see the seven massive turbines working. 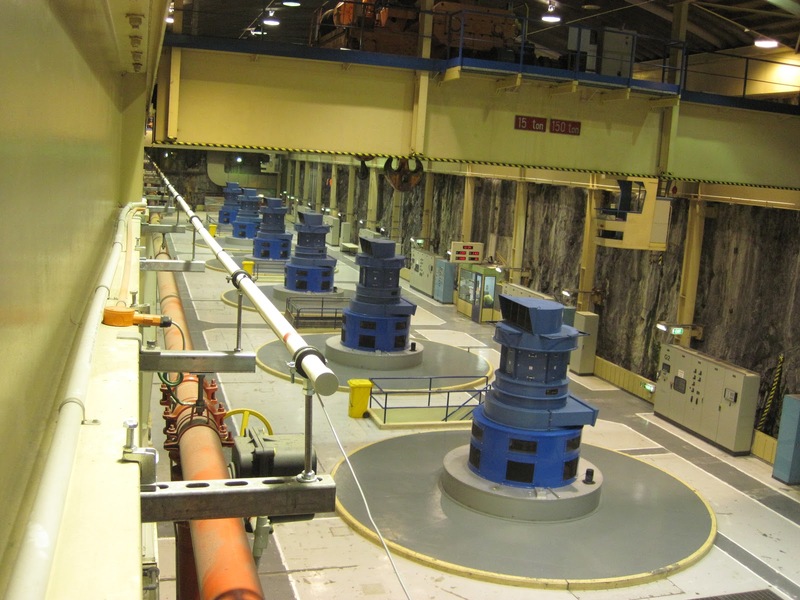 The station generates over 500 megawatts of electricity. 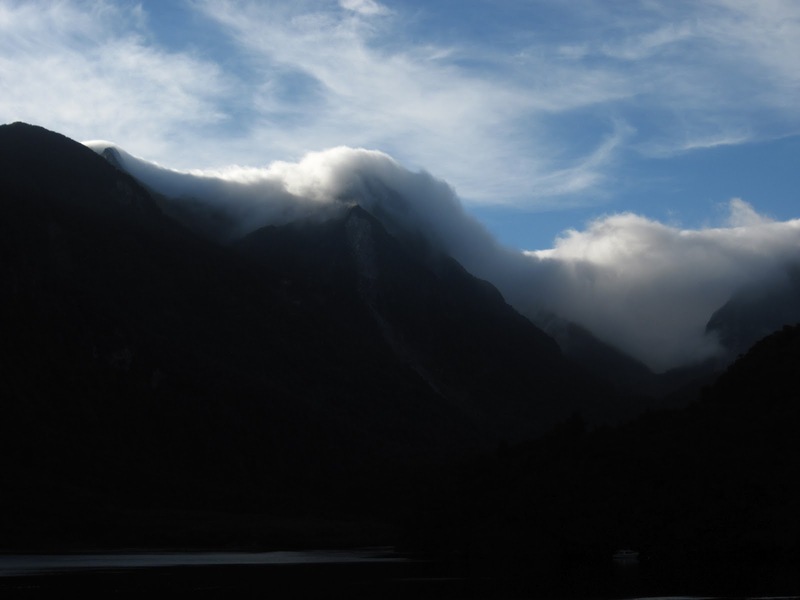 The next day I was in a store in Te Anau, chatting with a clerk. “I don’t know why you came to New Zealand,” she said when she found out I was from California, “you’ve got everything in North America that we have here except that it’s bigger and better there.” To a point, she was right but our trip up Doubtful Sound was unlike anything I had ever seen and clearly one of the most spectacular places I have ever visited.